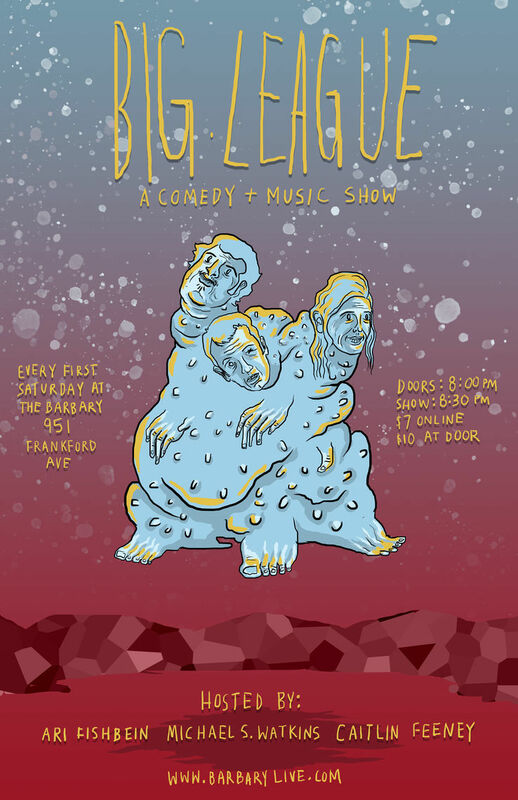 Big League is a monthly once-in-a-lifetime comedy experience from local heavy hitters Michael S. Watkins, Caitlin Feeney, and Ari Fishbein. This month, accompanied by the world class musical stylings of Trap Rabbit. Every first saturday at The Barbary!